The Grand Coulee Dam sits deep in the Columbia River Gorge of central Washington. It is located on the Columbia River, Washington State, USA . Built from 1933 to 1975, it is 550 feet tall, from the 500 foot wide polished granite base, to the 30 foot wide crest which supports a paved two lane road. Grand Coulee Dam is almost 1 mile long. 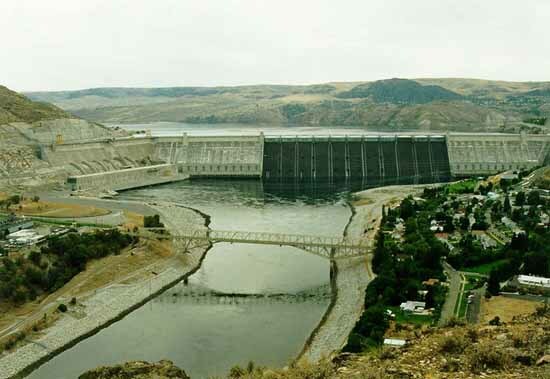 Grand Coulee Dam also provides water that irrigates over 500,000 acres of eastern Washington.